This second edition retains the positive features of being clearly written, well organized, and incorporating calculus in the text, while adding expanded coverage on game theory, experimental economics, and behavioural economics. It remains more focused and manageable than similar textbooks, and provides a concise yet comprehensive treatment of the core topics of microeconomics, including theories of the consumer and of the firm, market structure, partial and general equilibrium, and market failures caused by public goods, externalities and asymmetric information. The book includes helpful solved problems in all the substantive chapters, as well as over seventy new mathematical exercises and enhanced versions of the ones in the first edition. The authors make use of the book's full color with sharp and helpful graphs and illustrations. 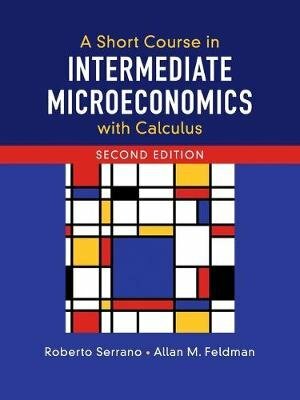 This mathematically rigorous textbook is meant for students at the intermediate level who have already had an introductory course in microeconomics, and a calculus course.